During my holiday break, I got my hands on BioWare’s brand new science-fiction role playing game, Mass Effect. With Mass Effect, I sought to fulfill the fantasy of commanding a starship like Picard of the Enterprise or Adama of the Galactica. Mass Effect, in many ways, exceeded my expectations and allowed me to not only command a starship, but to also play the role of an interstellar diplomat, an explorer, and a hero of the galaxy. 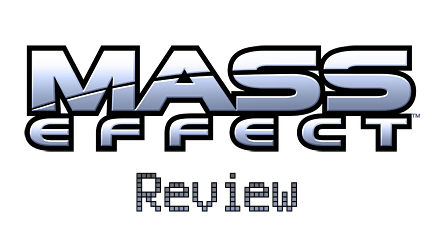 As wonderful as it may seem, my experience was marred by Mass Effect’s numerous technical and gameplay faults. What were these faults, you ask? Were they really that bad? Read on. First next-gen console first person shooter to feature mouse and keyboard support. First game to feature user created modifications on a console. 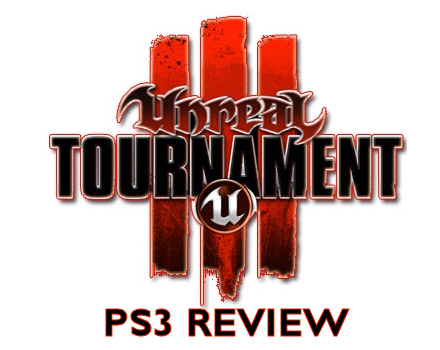 As you can see, Unreal Tournament III (formerly known as Unreal Tournament 2007) is quite the “revolutionary” game for the console world, but aside from all these bells, whistles and technical flare, how does the game itself stack up? Do the visuals (as Epic claimed) exceed those of Epic’s Gears of War for the XBOX 360? Is the single player a real single player? Is mod support working? I spent time and sought the answers to these questions and here are my findings. LTTP or late to the party pieces are opportunities for us to catch up and write about games we missed out on the first time around. They may contain spoilers. I have been trying to play Final Fantasy Tactics for about a decade. I believe I made 3 actual attempts at it and every time I would leave before finishing the first act. The reasons for quitting? I would either get bored out of my mind or sidetracked by some other “superior” game. Years later, Square Enix, decided to rerelease Final Fantasy Tactics for the Sony PlayStation Portable with a retranslated script, improved presentation and a handful of other additions. What better way to play this game than through an updated release? I decided to return to Ivalice’s strategy world once again. Unfortunately, I did not finish the game again since I was stonewalled and grew bored by the number of retries I was attempting. I am an open gamer and enjoy a vast variety of genres, but one genre which I neglect regularly is the turn-based strategy RPG genre. The last strategy game I played and truly enjoyed was Shining Force II for the Sega Genesis. (I have to go back and beat that one as well). In a sense, Final Fantasy Tactics is my first turn-based strategy RPG and I did not enjoy it very much at all. Perhaps I am not made for strategy turned-based RPGs or perhaps Final Fantasy Tactics is a broken? I am unsure. You may have experienced life as a space marine, stealth assassin, special agent or even life as a scantily clad woman, but have you been just an “ordinary man”? 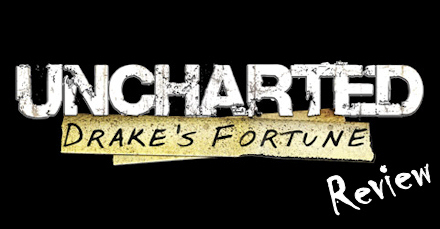 Naughty Dog’s Uncharted: Drake’s Fortune places you in this very role of being an ordinary man, named Nathan Drake, who happens to be the descendent of famous English explorer, Sir Francis Drake. While Drake lacks the military training of a hardened marine and the finesse of ninja, he somehow embarks on quite the pulp action adventure starring pirates, mercenaries, booby traps and bottomless pits. The prize of this adventure: the lost treasure of El Dorado.